The importance of music in film cannot be understated. Simply stated, it can make or break a movie. I’ve been fortunate to have had the opportunity to score music for film. The effect that music has always amazes me; it has profound influence on story and pictures. In Film Music Piano , music and pictures lock. 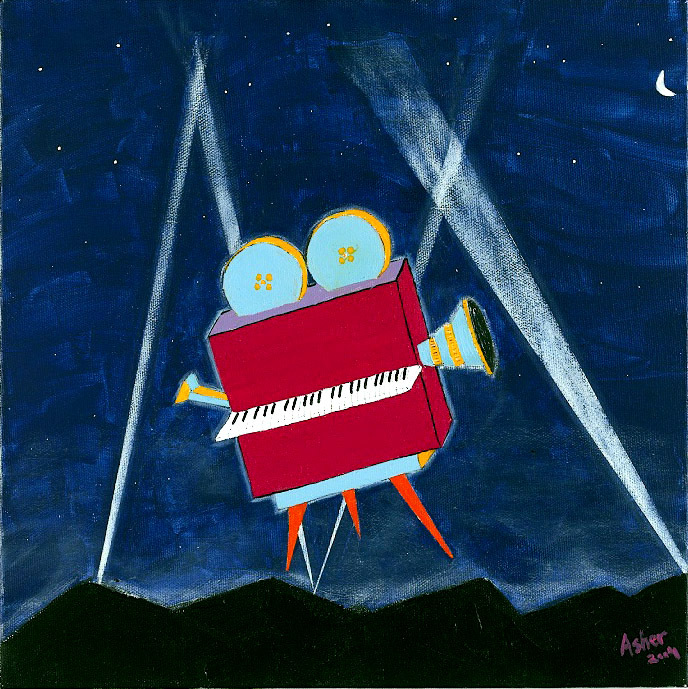 An old school camera and a piano are juxtaposed over a Hollywood Hills type background with dusted white acrylic spotlights cross-crossing the night sky.